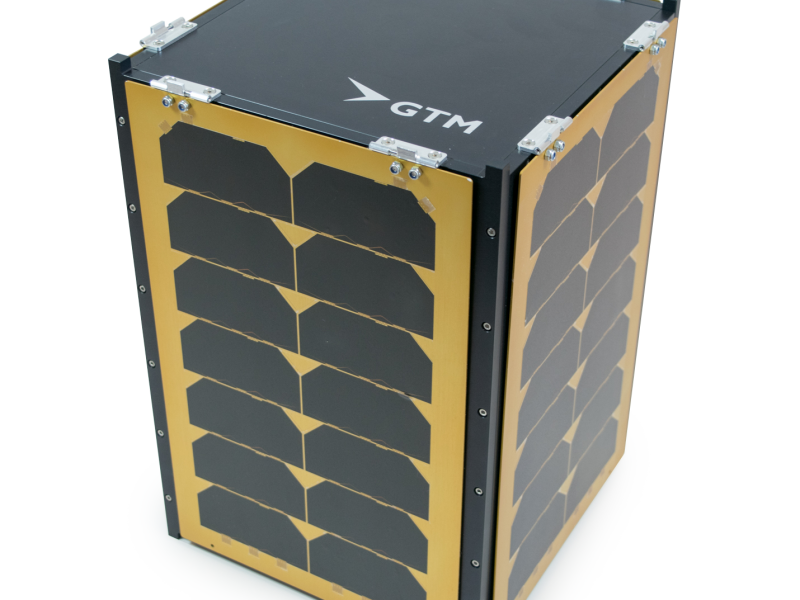 The SAT series of CubeSat-platforms is a collaboration between Hyperion Technologies and GTM Advanced Structures for large CubeSat platforms up to 36U. Next to the 12U model the SAT platform is also available in sizes of 6U, 24U and 36U as well as customer specific size. While offering standard PC104 interfaces the system also allows for custom designed non-CubeSat internals such as larger payloads with high stiffness requirements. All external panels are individually removable, allowing easy access for integration, assembly and testing activities. The external panels include shielding capability that can be tailored to optimize component lifetime in the flight regime of choice.